Saving lives. Made even easier. 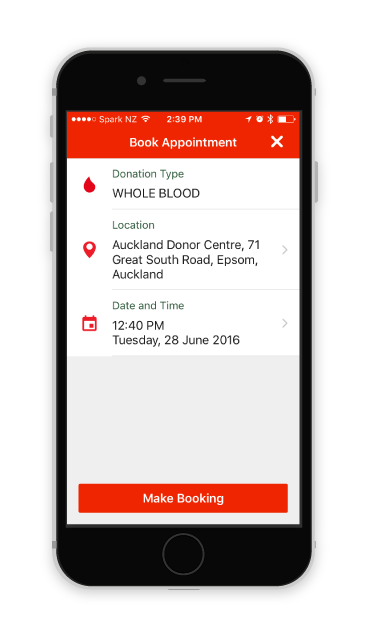 To mark World Blood Donor Day on June 14 2016 NZ Blood Service partnered up with Sush Mobile to launch a new app for iPhone and Android which makes it easier to find a time and place to make a blood donation. 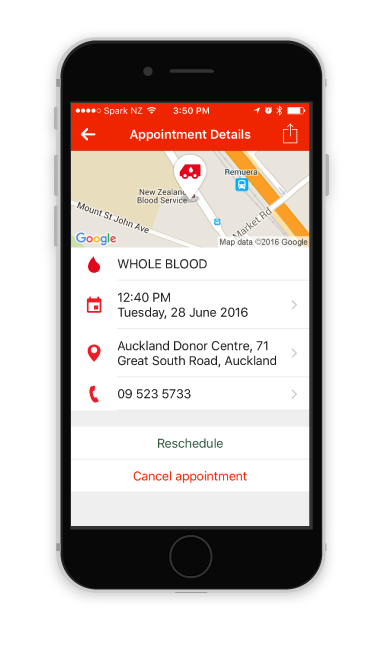 Select a location then pick a date and time to book your appointment. 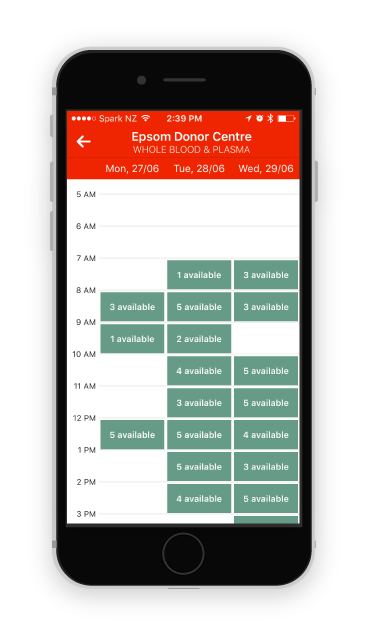 If you’re already a donor, your preferred location is already pre-populated. 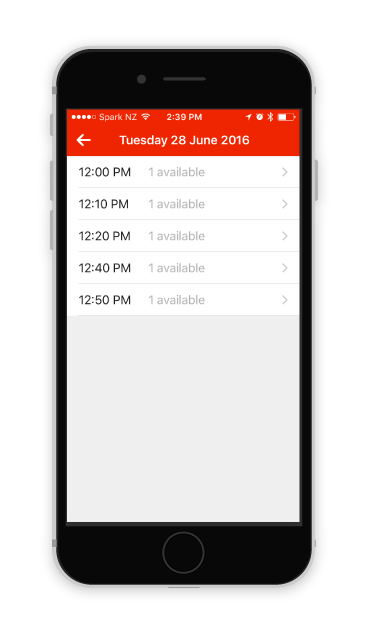 The booking process is now more intuitive than ever. 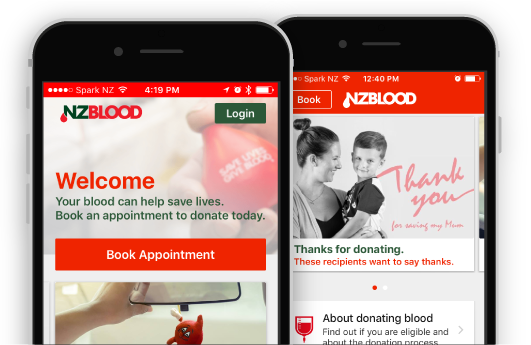 Get notifications for appointment reminders, urgent appeals for your blood type, when the blood drive is coming to your area and when your blood is being used to help save a life. 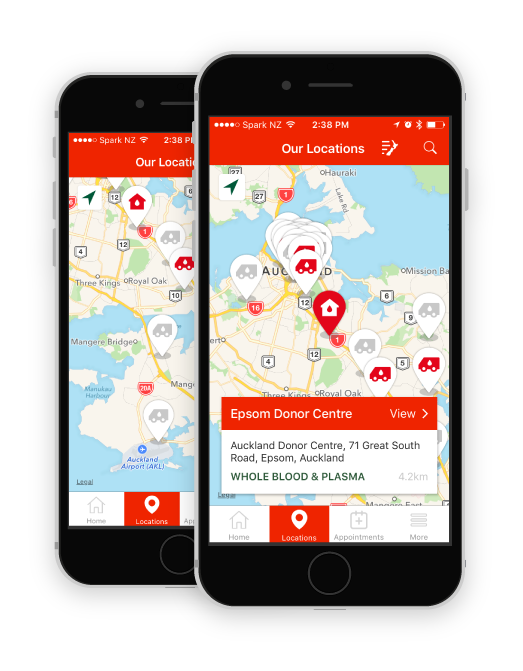 For the first time ever, donors can now view all available blood donation locations on an interactive map. 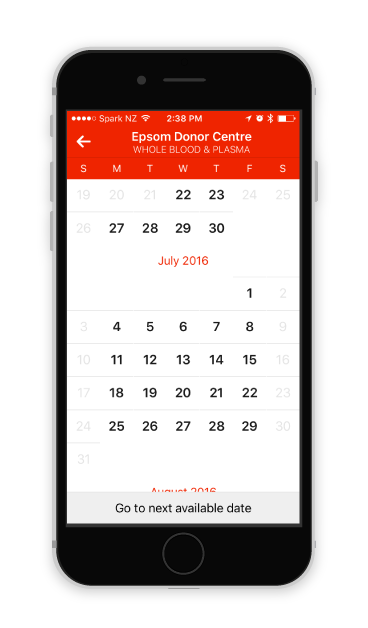 Not only can they see current blood drives but also upcoming ones in their area with date information. 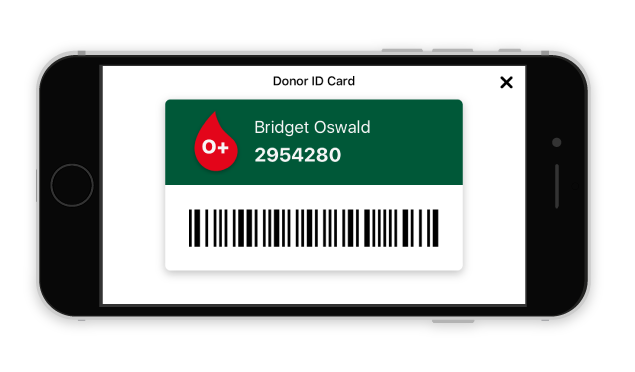 You no longer need to carry a physical donor ID card as it is now only a tap away inside the app. Just show it at the counter and scan the barcode when you come in for your appointment.